Intel has announced that it will be releasing its first discrete graphics card in 2020, with the new GPU aimed at data center and gaming PCs. This is exciting news, as the graphics card market has so far been dominated by just two players: Nvidia and AMD. With Intel creating its own line of GPUs, gamers should have more choice when it comes to buying the best graphics card for their rigs. Intel confirmed that its first discrete GPU will be arriving in 2020 via Twitter. Frustratingly, the tweet appears to link to an incorrect webpage, so we don’t have too much information to go on. However, rumors of Intel entering the discrete GPU market have been swirling for some time now. Intel has experience with graphics processing units (GPUs), as its processors ship with integrated GPUs. This means the GPU is on the same chip as the processor, enabling users to operate their PCs, and even play games, without the need for a separate graphics card. Producing discrete GPUs means Intel can put even more power into the graphics cards it creates, and the idea of a three-way race between Intel, AMD and Nvidia to woo gamers is certainly an exciting prospect. While 2020 still feels a long way off, it’s actually pretty soon in the world of GPU development, so it appears that Intel is taking its entry into discrete GPUs seriously. 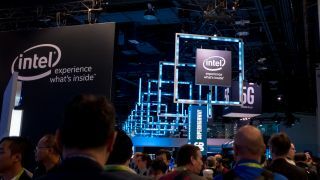 There are also rumors that we’ll see Intel’s new graphics card next year, at CES 2019.